Girls love crop tops - it’s a fact. 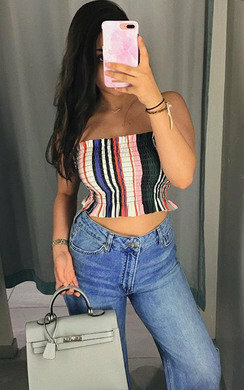 We cannot get enough of them, whether this is for a night out in the town or a cute crop to wear on holiday, there is so many styles now that you can wear a crop top for any occasion if styled right. Crop tops are always a must have no matter the season. Here at IKRUSH we have styles such as lace, cut out detailing, frill and tie up. Whether you want a top to make a statement or have a minimal and understated look, there really is a style out there for everything. With an abundance of colours on offer, there really is no better time to show off your personal style. We have some beautiful floral patterned crop tops for this season that are absolutely stunning paired with some high shine leggings and killer heels. As for styles for all seasons, we have many long sleeved crop tops that are perfect for winter. Team with skinny jeans and some cute ankle boots for a fierce winter style. 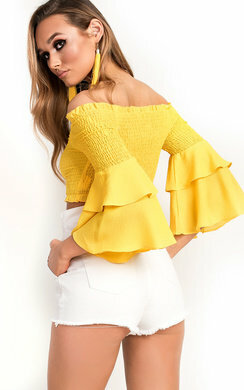 Celebrity inspired and all at a great affordable price, you really can't go wrong with having a wardrobe full of cute crop tops for whatever occasion may pop up. You will always be sorted with our collection, that’s for sure. Remember to check out our great footwear to make sure you style the outfit the best way you can to make you super on trend!